The latest modern interpretation of the classic adidas Copa Mundial is here, and it is arguably the best one yet. 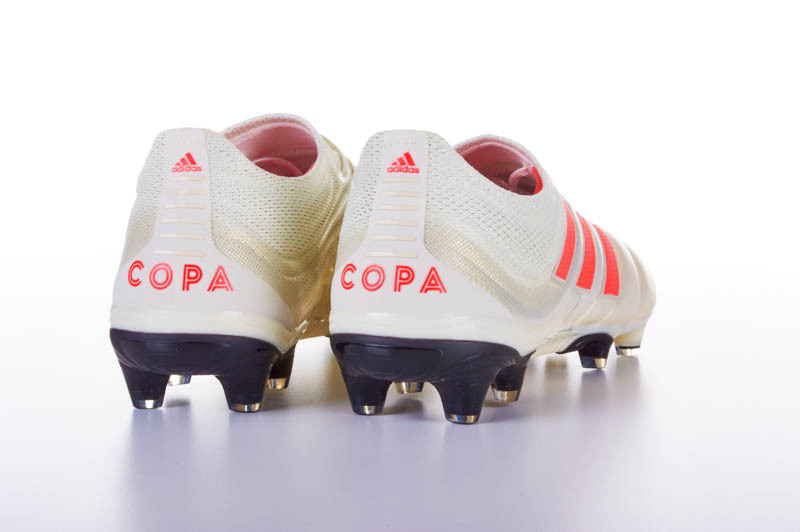 Dubbed Copa 19.1, this laced version of the new boot was released alongside the 19+, the laceless version. While they share a similar construction and many of the same materials, the 19.1 will set you back $65 less than the 19+ will. So if you’re looking for a modern leather boot that won’t break the bank and is all the rage right now, keep reading to see how the Copa 19.1 fits, feels, and performs on the pitch. Launched originally as part of the Initiator Pack, the latest generation of Copa has been all the talk for its revolutionary design, modern technology, and unrivaled fit. 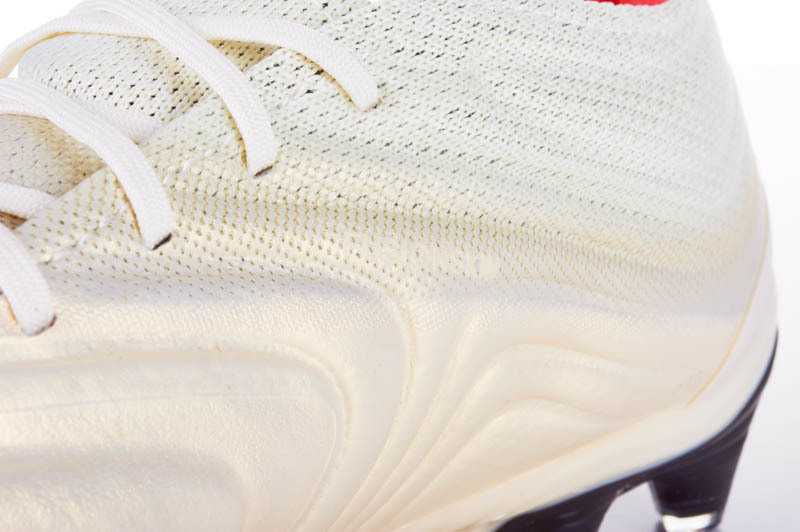 The Copa 19+ is really the star of the show here considering it’s the first-ever laceless leather boot from the brand; however, the 19.1 is just as exciting. It features a similar construction to its laceless counterpart, with the exceptions being the midfoot and heel area. The 19+ utilizes Primeknit at the heel where the 19.1 utilizes a structured knit textile material with a firmer, stiffer feel, which is something to keep in mind if you like your boots to be on the stiffer side. The uppers of both tiers have soft, flexible kangaroo leather finished with Fusionskin, an innovative leather treatment that allows for a seamless construction and decreased water uptake. 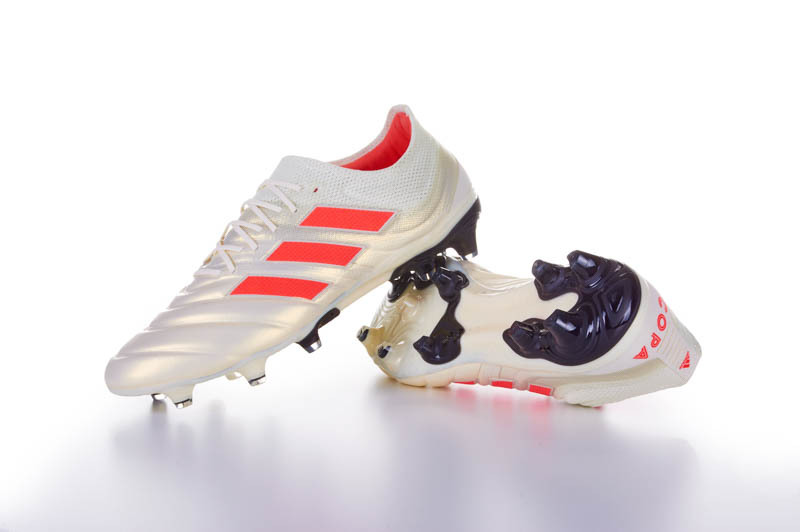 What you won’t find on either of these boots is stitching, because they feature an internal structural liner or integrated “X-Ray” vamp cage, as adidas calls it. If you couldn’t already tell by the prominent wave-like design of the upper, the internal liner gives the upper structure without absorbing as much water as stitching absorbs. Underfoot, the Exoframe soleplate sees a similar stud pattern to that on previous adidas boots; there’s a mixture of triangular and conical studs that provide supportive traction on firm ground surfaces. What would an adidas Copa be without a soft, premium, kangaroo leather upper? Disingenuous, that is. On the Copa 19.1, you get exactly what you would expect; a buttery smooth K-leather vamp that gives you the soft leather touch you yearn for. As you make contact with the ball, you achieve a solid, controlled strike that assures you exactly where the ball is headed. The leather upper doesn’t feel as padded as it looks, though; it feels a bit on the thin side, contrary to what you’ll get from say an Nike Tiempo Legend VII. Even with its revolutionary design, the Copa stays true to its roots in offering a comfortable, soft kangaroo leather touch. The looks may have changed, but its DNA surely hasn’t. This is still a classic soccer cleat to the core. Because this boot has laces, you get a tighter overall fit due to the extra adjustability. It fits close to your foot with little wiggle room, but it’s awfully comfortable. The leather forefoot feels exactly how you’d expect it to feel—soft, supple, and flexible—while the rest of the boot, especially the midfoot, feels pretty stiff and really grabs your foot tight. Proper break-in time is necessary to achieve a truly comfortable fit from these boots so don’t start off expecting them to be broken in right away just because they are Copas. The leather toe box has decent width to it and will stretch with time, but I wouldn’t recommend this boot to players with very wide feet. Otherwise, they’re very comfy and run true to size. 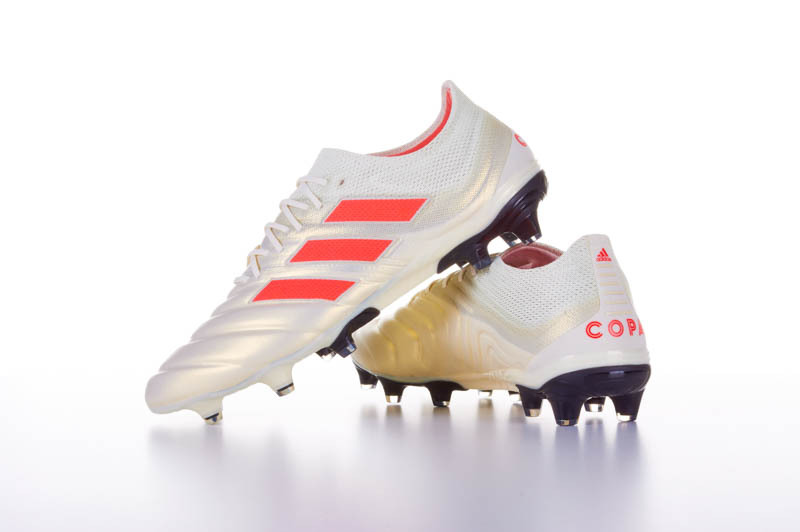 Upon first glance, the Copa 19.1 looks like it would feel the same throughout the boot, but you actually get different sensations in different areas of the boot. At the forefoot, you get a soft, comfy sensation, but at the midfoot, you get a firm, pingy sensation. The structured knit textile material around the ankle and at the top of the tongue drastically effects the feel of these boots. 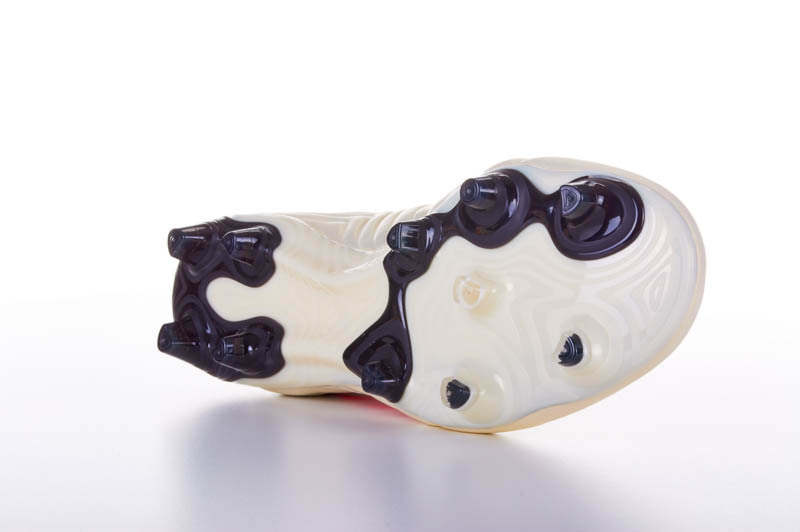 It feels much harder than you’d expect, and because of the burrito style tongue (which was last seen on the Messi 16.1), the top of the tongue chafes against your foot while you play. This is uncomfortable and annoying to endure at first, but after a few wears, the material softens up and becomes more comfortable. Again, just be aware that these boots need to be broken into before they’re good to go. 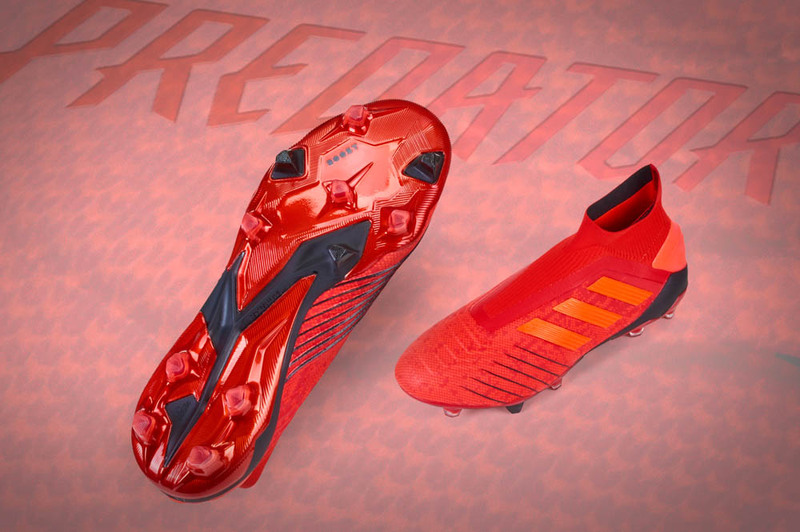 That burrito style tongue isn’t new, but it hasn’t been implemented on an adidas boot in over two and a half years. Maybe there’s a reason for that? 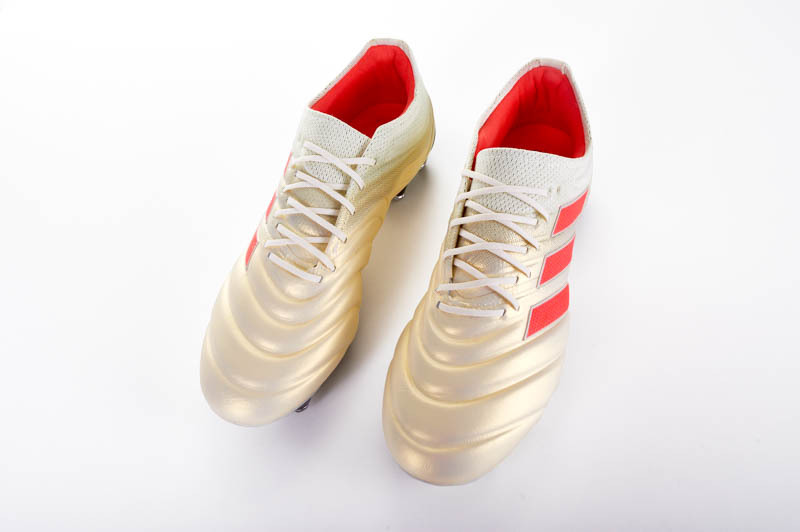 It could’ve missed the mark with many players and possibly even Messi himself, but adidas has chosen to bring it back for their most modern Copa to date, and with one minor change; instead of the tongue tucking into the lateral side of the boot, it tucks into the medial side. An elasticated strap inside the tuck helps hold the tongue down across the top of your foot and prevents it from sliding around. The downside? It makes the boots drastically harder to put on. There’s no tab to grab onto and you’re fighting against a thick, strong, elasticated strap that’s pulling the tongue the other way. While it enhances the fit of the boots on feet, the strap doesn’t make it any easier to actually get the boots on. This isn’t a design flaw since it improves the fit; rather, it’s an inconvenience. Once you accomplish the task of getting the boots on, you’re rewarded with a tight, secure fit that will leave you playing happily for hours. For a leather boot, the Copa 19.1 is remarkably responsive. You feel super locked in and secure when the laces are tied tight. Besides paying $65 less, the 19.1 has more adjustability than the 19+ due to the presence of laces. 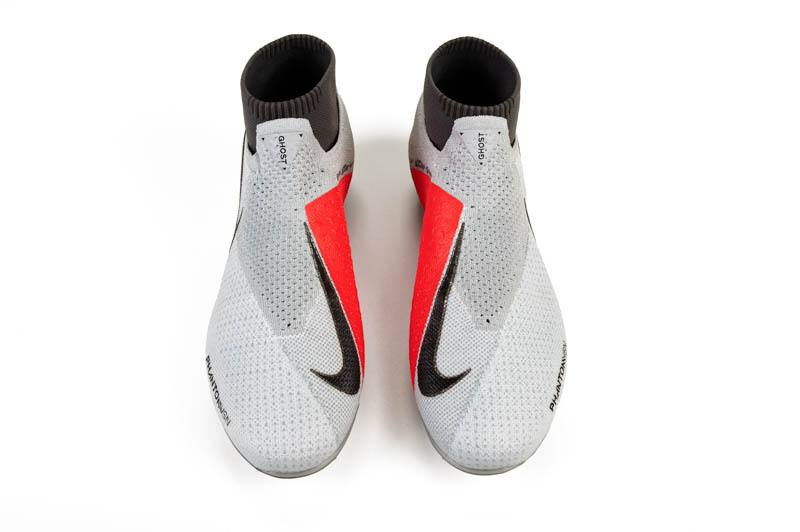 So if you’re not into the whole laceless concept, that’s great, because the laces on these boots provide incredible lockdown, adjustability, and responsiveness. You feel very secure while wearing these, more so than if they didn’t have laces. What the 19+ has over the 19.1, though, is a more comfortable midfoot area. The 19.1’s midfoot offers a stiffer feel that may not appeal to a lot of players, especially those expecting a soft, comfy, modern leather boot like the Tiempo Legend VII. The Copa 19.1 sort of strays away from that notion, so keep that in mind if you’re expecting an all around soft, flexible feel. 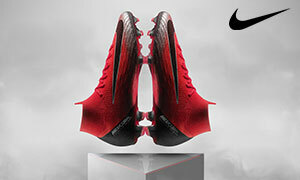 Inside the heel area, synthetic suede and padding keep your feet comfortable during play. Underfoot, the Exoframe soleplate and stud pattern (which is identical to that on the Copa 19+) offers a solid but somewhat flexible feel. Especially during the break-in period, the soleplate feels slightly rigid but it starts to become more flexible with time. The stud pattern, a mixture of triangular and conical studs, offers great traction on firm ground surfaces; the studs dig into the ground really well. Simply put, if you’re after a boot with amazing lockdown and responsiveness (and one that just so happens to have a tight fit), you’re going to want the new Copa 19.1. 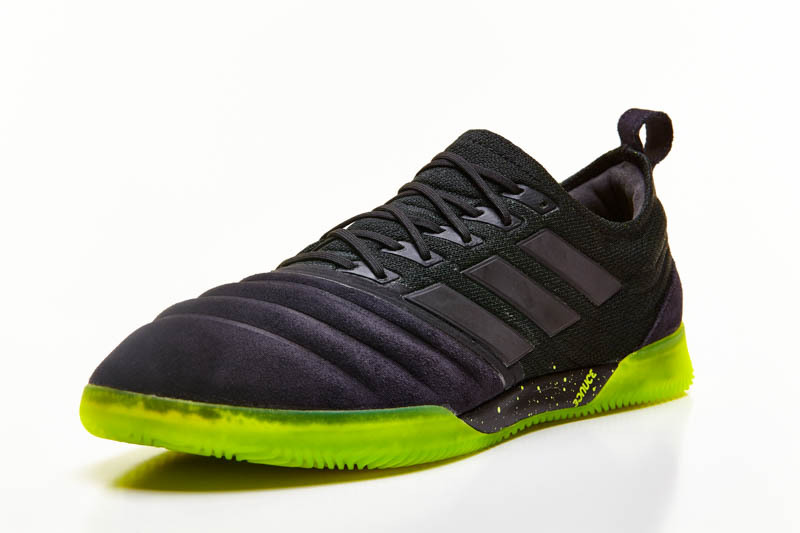 Although this isn’t the traditional leather boot you might expect (it is the most revolutionary Copa yet, after all), the fit, lockdown, and responsiveness is simply too impressive to ignore. It’s a Copa at heart, but the most modern, advanced one yet. A cheaper price tag than its laceless counterpart, a revolutionary design, and a different offering from its primary competitor, the Nike Tiempo, make this boot worth checking out whether you’re loyal to leather or not. I’m a soccer cleat fanatic at heart, and the racks of cleats in my bedroom can attest to that. I enjoy playing the beautiful game and immersing myself in all things soccer. I primarily follow and support U.S. Soccer despite the men’s national team’s devastating elimination from the 2018 World Cup. When I’m not playing soccer, I’m either playing basketball, golf, or snowboarding. The rest of my free time is spent photographing and reviewing soccer cleats and writing for The Instep! Copyright © 2019 The Instep. All Rights Reserved.